The Golden State Warriors are introduced at the team's victory parade in Oakland. Now that the Golden State Warriors are officially NBA Champions ... again, it's time to celebrate! Our live coverage of the the Warriors Victory Parade will begin at 10 a.m. on Tuesday. Watch it live on television via NBC Bay Area or check for the livestream on this page Tuesday morning. 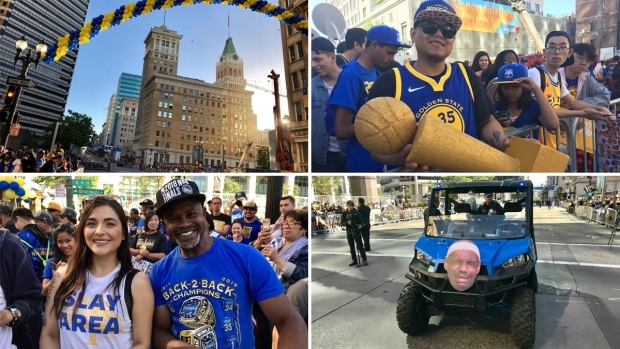 The team and its fans will celebrate the Warriors' third title in four seasons with a festive parade on Tuesday starting at 11 a.m. at Broadway and 11th Street in Oakland. More than 1 million people are expected to flock to the parade, transforming Oakland into a raucous sea of blue and gold. The parade route for the Golden State Warriors' 2018 championship celebration. 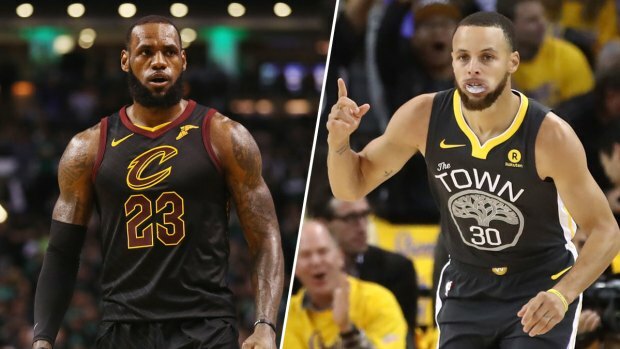 This year's parade will be different than previous Golden State championship parades, according to the team. Players, coaches, team officials and dignitaries will still cruise along the parade route as usual, but there will be no post-parade rally near Lake Merritt. After starting at the intersection of Broadway and 11th Street, the parade will continue straight along Broadway toward 20th Street. From there, it will turn right and proceed toward Harrison Street, turn right again and then turn left at 19th Street. Parade participants will continue along 19th Street and eventually hang a right onto Lakeside Drive before wrapping up the celebration at 13th and Oak streets. 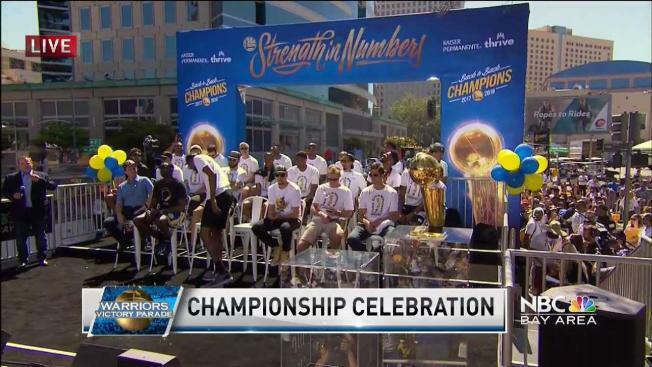 NBC Bay Area's Kira Klapper gives the need-to-know details ahead of the Golden State Warriors' Championship Parade. Fans can begin to claim their viewing spots along the sidewalks beginning at 6:30 a.m., according to the team. When it comes to making the journey to the parade, fans are highly encouraged to take public transportation, such as BART and AC Transit, which are both slated to ramp up service in order to accomodate the large crowds. Parking around the parade route will be "significantly limited," according to the team. Live coverage of the parade will begin at 10 a.m. on NBC Bay Area, an hour prior to the event, as well as online via livestream. For complete parade details, visit warriors.com. Now that the Golden State Warriors are officially NBA Champions ... again, it's time to celebrate! Cheryl Hurd reports.